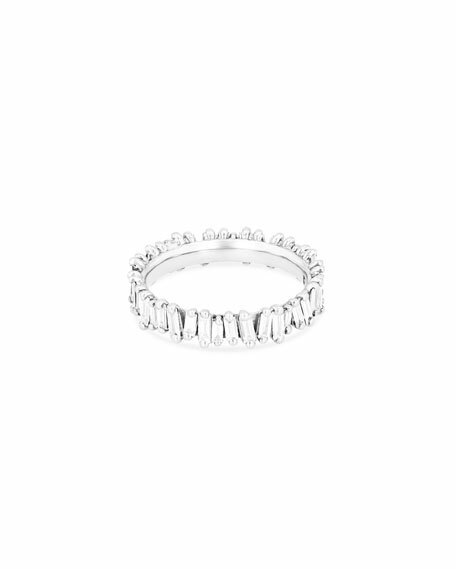 Suzanne Kalan "Fireworks" eternity band ring in 18-karat white gold. Tilted white diamond baguettes set all around. 1.6 total diamond carat weight.